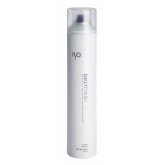 ISO Bouncy Cleanse Curl-Defining Shampoo helps restore hair to its optimum condition. This gentle cl..
ISO's Tri-Active Technology helps restore hair to its optimum condition. This curl-enhancing c..
A creme texture energizer that reactivates and rejuvenates curly, wavy and textured hair while elimi..
Bouncy Spray is formulated with ISOs nutrient-filled Tri-Active Technology which takes positively ch.. This advanced, moisturizing shampoo gently cleanses while preventing hairl color from fading with IS.. This vitamin-enriched conditioner moisturizes while defining the shine and clarity of color-treated .. 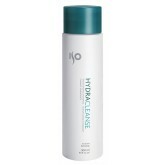 This mild, daily shampoo gently cleanses and corrects porosity, leaving hair balanced internally and.. This light, creme conditioner lightly moisturizes, balances, and detangles. Dual cationic conditione..
A firm-fix hair spray that provides maximum control, shine and humidity resistance without buildup. ..
A firm-hold mousse that provides maximum volume and control while complementing sculpting, setting a..
A flexible working hairspray that shapes damp hair during styling and finishes dry hair with workabl..
A moisturizing shampoo that revives and strengthens dry and chemically treated hair, leaving it resp.. 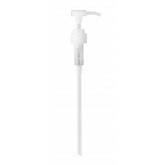 This revitalizing, moisture-rich daily conditioner hydrates normal to dry or chemically treated hair..
Pump designed for use specifically with ISO 32oz / Liter sized bottles.. 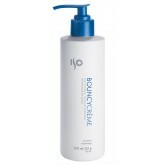 This smoothing shampoo is formulated with guar gum and ISO's patented ISOamine to soften the hair's .. This smoothing conditioner locks in moisture and contains guar gum and ISO's patented ISOamine to so..
A smoothing foam gel formulated with guar gum and ISO's patented ISOamine to soften the hair's bonds..